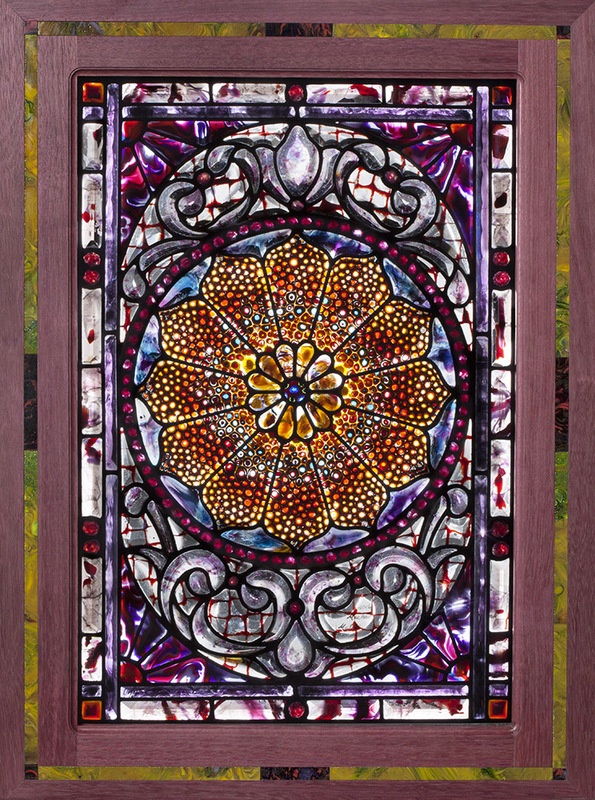 On the following pages are examples of the finest art glass being created in America today. Using hand cast and hand rolled, opalescent sheet glass and incomparable, custom colored beveling, I have taken the work of American masters of the 19th Century into the present. For a consultation, please write or call 303-292-0441.